Senator Frances Black was reacting to the news that cancer warning labels are expected to be dropped from the Alcohol Bill. SENATOR FRANCES BLACK has condemned Simon Harris’ decision to drop proposed cancer warning labels on alcohol products from the Public Health (Alcohol) Bill. Speaking on Today with Sean O’Rourke, Black said that the move to not include cancer warnings was an “insult to those who have suffered from cancer”. The senator was reacting to the news that provisions to include warnings on alcohol products linking excessive consumption to fatal cancers are expected to be removed from the public health legislation when it returns to the Dáil. The Public Health Alcohol Bill has now been before the Oireachtas since 2015 and has passed through all stages of the Seanad, with no amendments made. Black was critical of Harris saying he had previously backed the provision but “now obviously, under pressure from a few backbencher Fine Gael TDs, he’s considering removing it from the Bill”. “We know that 900 alcohol-related cancers are diagnosed annually and one in eight breast cancers are alcohol-related. “I think to myself, could it be said that women’s health is not a priority for this government. “Are the profits of the alcohol industry more important now more than women’s health,” Black said. Professor Frank Murray, Liver Specialist, told RTÉ Radio 1 that most people diagnosed with alcohol-related cancer, have no idea that their cancer is due to alcohol. “If we didn’t drink at all, and I’m not suggesting that we ought to, we would have one eighth fewer breast cancers in Ireland. 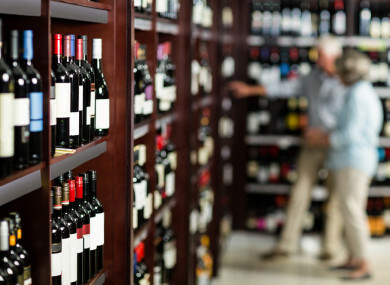 “When you take it in that context, that the facts are the facts, there is a compelling argument for having warning labels on alcohol products,” Murray said. As previously reported by TheJournal.ie, it is the belief of the drinks industry that warning labels would make Ireland unique, as no other country in the world has similar labelling. The amendments that have been submitted are required to protect the reputation of Ireland’s quality drinks brands, to allow continued innovation in the drinks sector, to ensure brewery and distillery visitor centres can grow and to safeguard rural jobs and the economy. Callan told Radio 1 that there are hundreds of carcinogenic products and the issue is too confusing to condense to a few words on a label. Email “Decision to not include cancer warnings on alcohol products an 'insult to those who have suffered from cancer'”. Feedback on “Decision to not include cancer warnings on alcohol products an 'insult to those who have suffered from cancer'”.